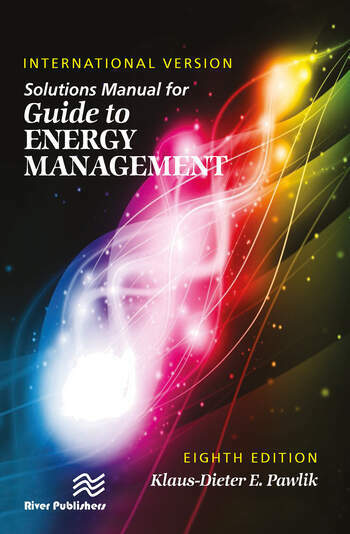 This practical study guide serves as a valuable companion text, providing worked-out solutions to all of the problems presented in Guide to Energy Management, International Version, Eighth Edition. This version expresses numerical data and calculations in System International (SI Units). Covering each chapter in sequence, the author has provided detailed instructions to guide you through every step in the problem-solving process. You will find all the help you need to master and apply the state-of-the-art concepts and strategies presented in Guide to Energy Management.